Copyright © 2015 Doxa Van Lines Limited. All rights reserved. Our company has a strong dedicated, diligent, and committed professional staff trained to provide our clients with quality service, which includes, survey, estimate-preparation, packing at the door step, moving, storage for grouping and custom clearance. Our Coordinator sees the move through from start to finish, keeping our clients updated with the progress of work. Our worldwide agency network ensures personal service at virtually every point of destination. We were having difficulties moving from our former apartment to this new place. We were worried about who can help us with our belongings then someone told us about Doxa Van Lines Limited. Wow! Their services are superlative and quick. 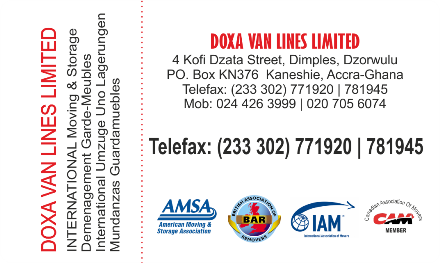 We feel proud to say that you to Doxa Van Lines Limited for their exceptional service . Get in touch with us to find out more about what we and what we can do for you. Simply fill out the form below and hit the send. All the field marked with asterisks (*) are mandatory so please don’t forget them.